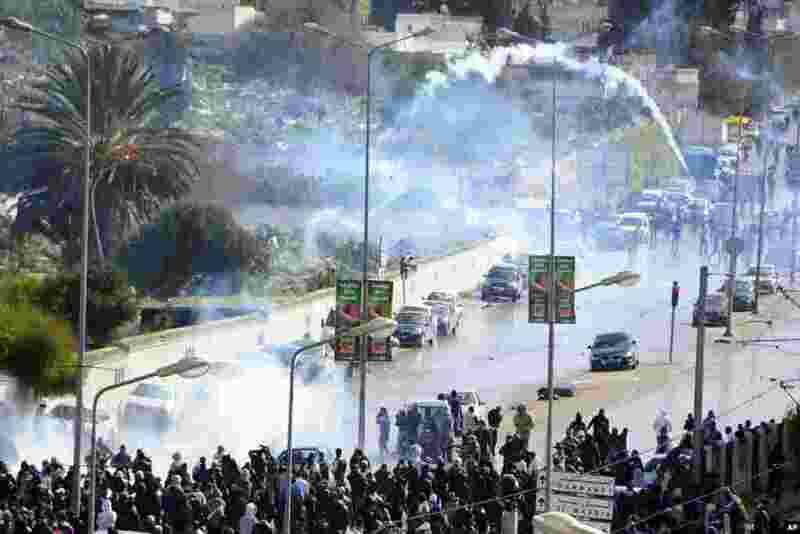 1 A tear gas canister flies in the air as thousands of Tunisians gathered at el Jallez cemetery to attend the funeral of slain opposition leader Chokri Belaid, Feb. 8, 2013. 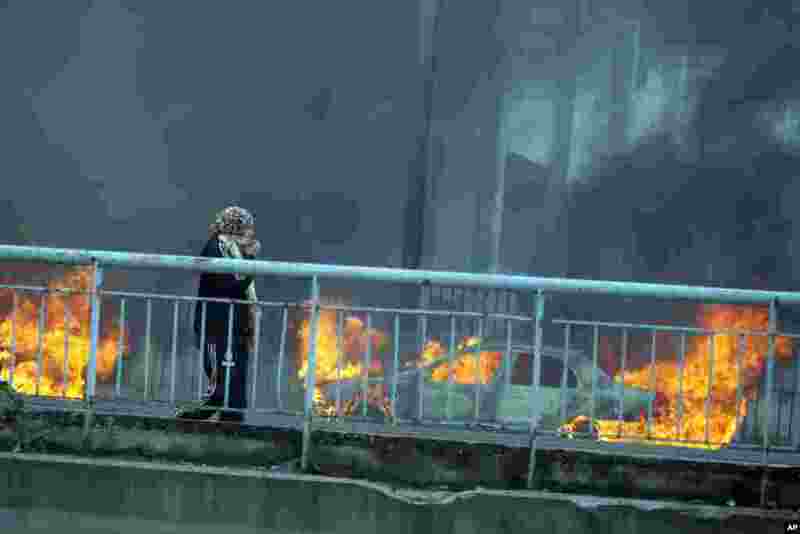 2 A Tunisian woman walks past burning cars during clashes with the police near the funeral of slain opposition leader Chokri Belaid, Feb. 8, 2013. 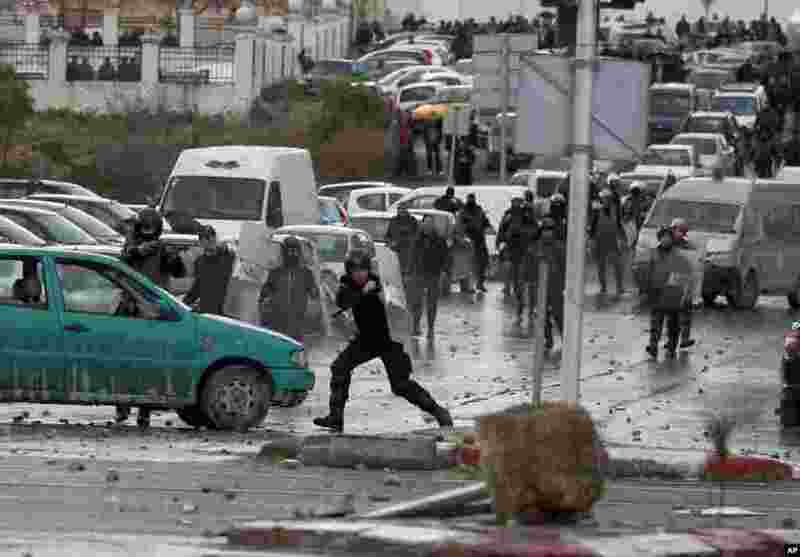 3 Riot police clash with protesters next to the cemetery where thousands of Tunisians gathered to attend the funeral of slain opposition leader Chokri Belaid, near Tunis, Feb. 8, 2013. 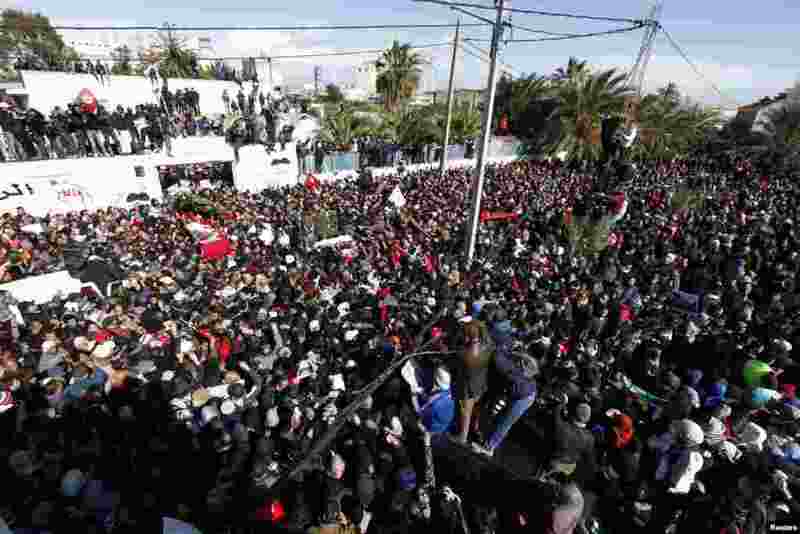 4 Mourners carry the coffin of opposition leader Chokri Belaid during his funeral procession, Tunis, Tunisia, Feb. 8, 2013.